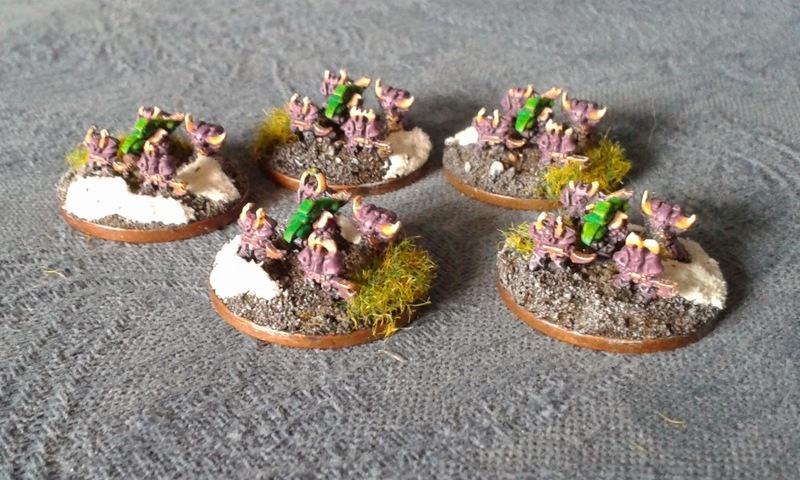 This is it - the end - the last of my Epic Chaos models all painted up and ready to murder stuff. 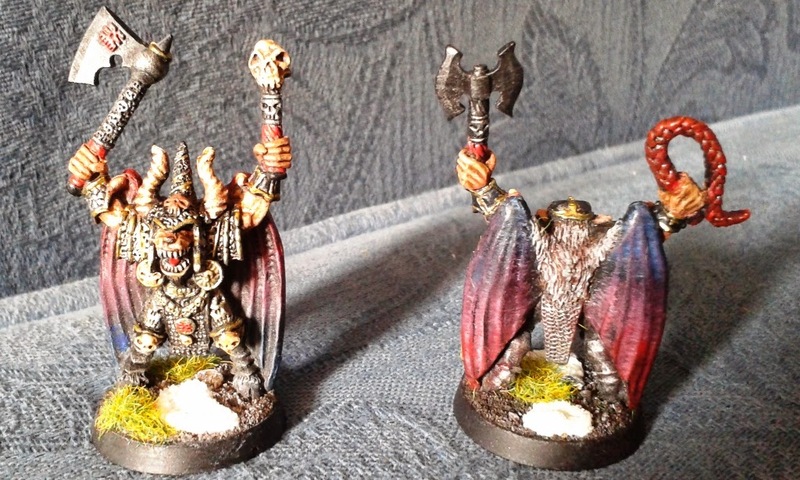 So here we have two Bloodthirsters (Greater Daemons of Khorne). 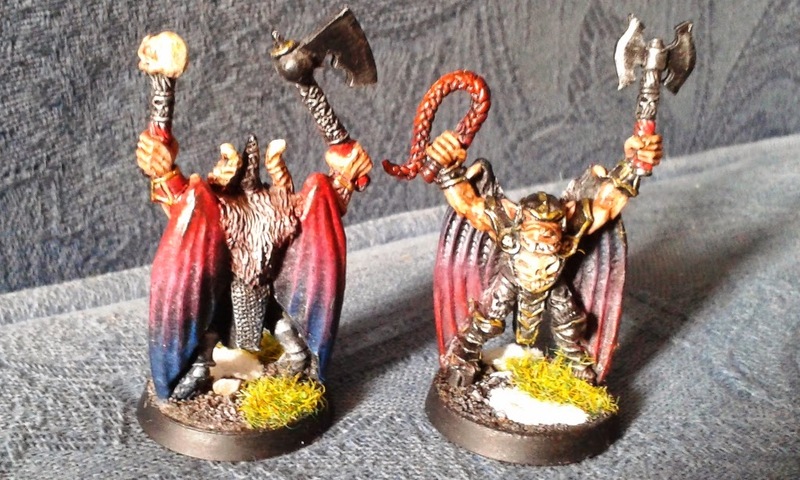 Painting these took me back about twenty years to when I painted the full-size counterpart that I use these days as a "counts as Daemon Prince" model in my Fantasy Warriors of Chaos army. I tried to keep the colour scheme as close to my original model as possible, just 'cos I liked it. So aside from a "whole army" family photo post, I'm done with this project. Just two Bloodthirsters left to go to finish this army off! I'll try and get the Bloodthirsters and a whole army pic posted up next week. 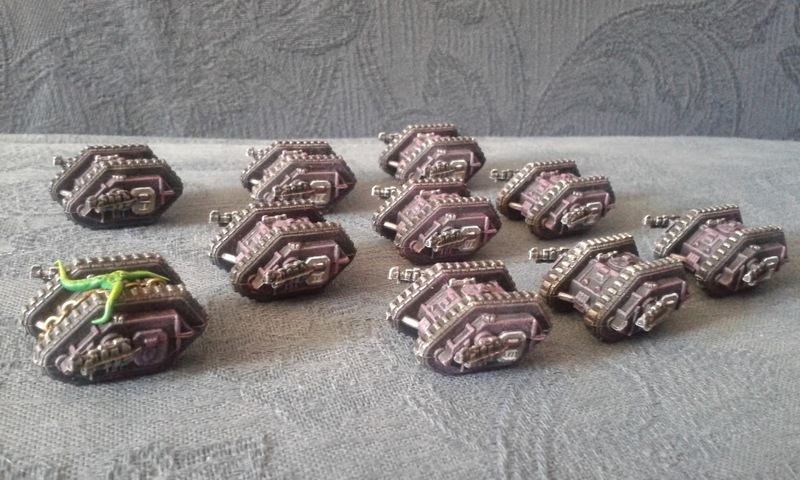 This is the beginning of the end - the penultimate troop-type for this army. I have three units of Havok (a.k.a. Devastator) Marines so will put one post up for each over the next few days. Unit 2 later this week. Wow - my 100th post! 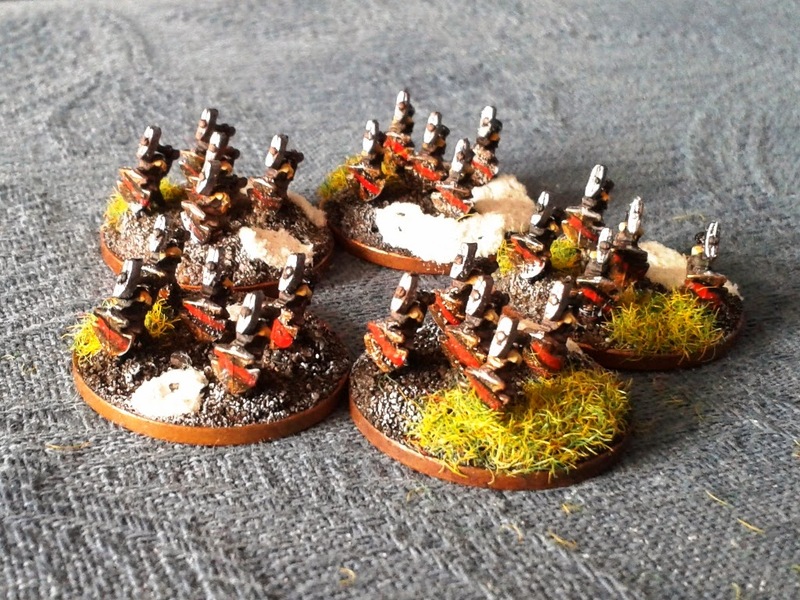 I never thought when I started that my little blog about my painting and modelling activities would be as well received as it has been. Thanks to anyone who's ever looked in and a special thanks to those of you who have "followed", "+1d", left feedback, added me to your circles or visited more than once. I'm honestly grateful. Now, on with the Chaos! I've done a little more work on my Rhinos which is the unit that started all this Epic Chaos work off. 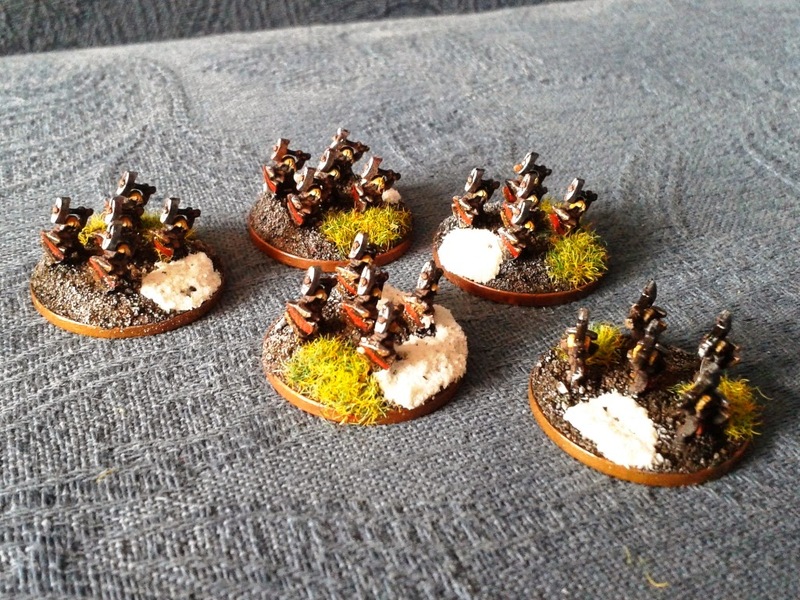 My next post will be about my penultimate unit in this army: Havok squads (a.k.a. Devastators, in Imerial parlance). Here's an update from my earlier "Tanks a lot" post. 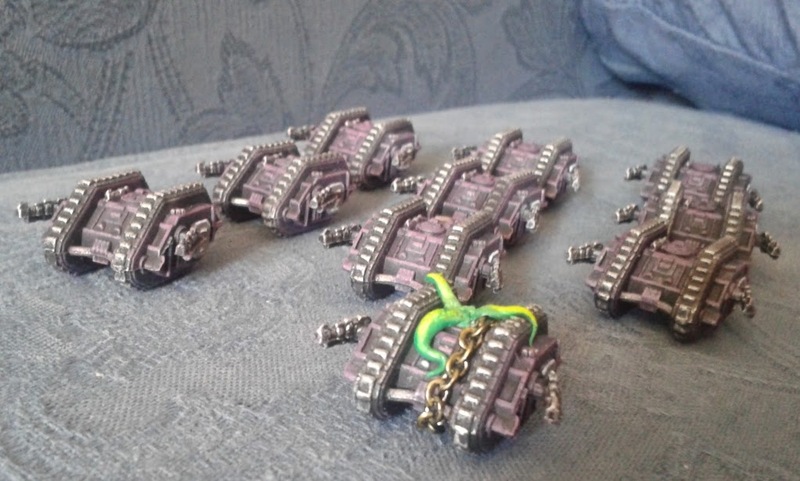 I've added some unit markings to my Land Raiders - slightly indistinct from the photos but they are Roman numerals. 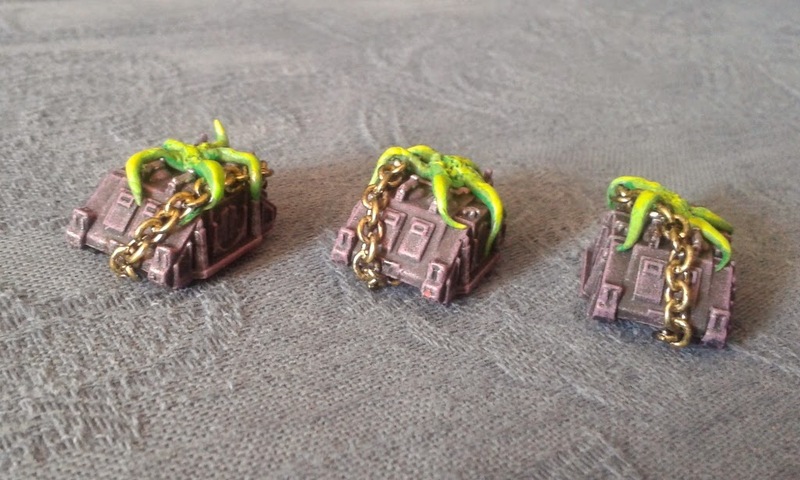 Each Land Raider company consists of 10 tanks - three detachments of three tanks plus a command tank shown here with chains and tentacles added. I have two companies like the one above. That just leaves updates to my Land Raiders/Rhinos (unit markings, command tanks), Havoc squads (devastator marines) and a couple of greater daemons to go to finish this project off. 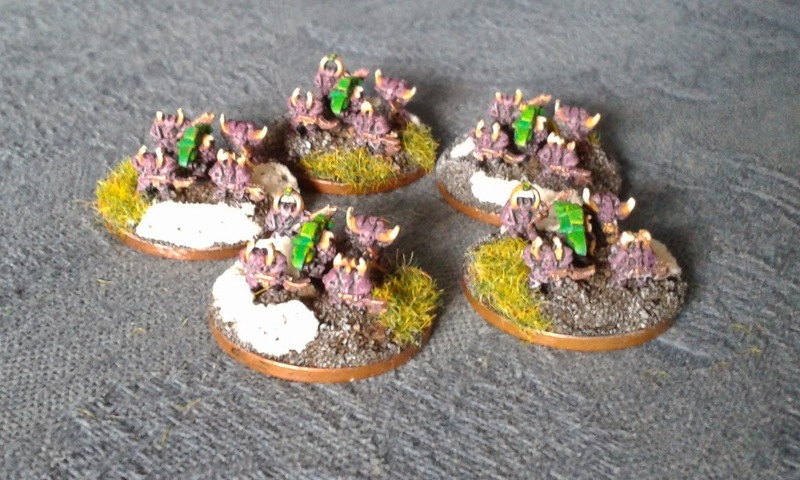 I've got one more unit of these guys to upload later in the week. Stay tuned for further bulletins. 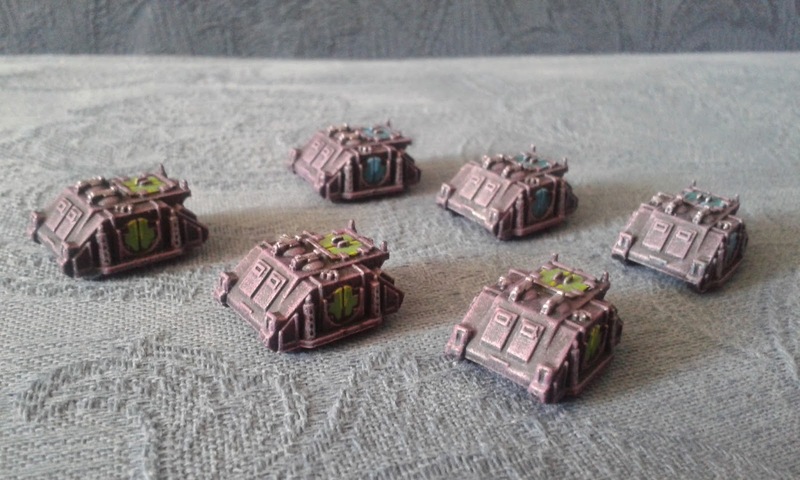 After that, I'm going to revisit my Land Raiders and Rhinos in order to give them a bit of an uplift - I need to decorate some to represent vehicles that commanders might ride in and add some unit markings so that the others can be put in recognisable battlefield units and distinguised between. Time (long past time, in fact) for another update on my rapidly-nearing-completion Epic Chaos Marines force. 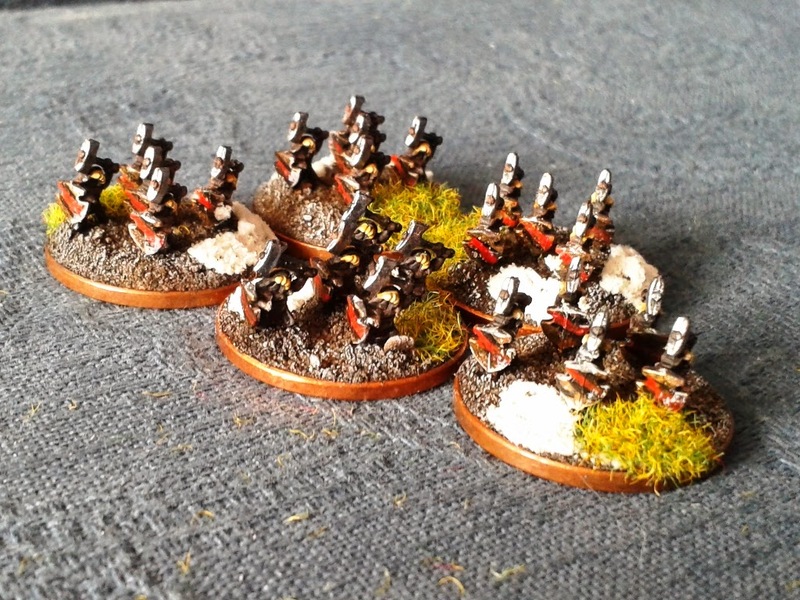 It's been two full weeks since my last update - not due to idleness - these guys for some reason just took a long while to paint. 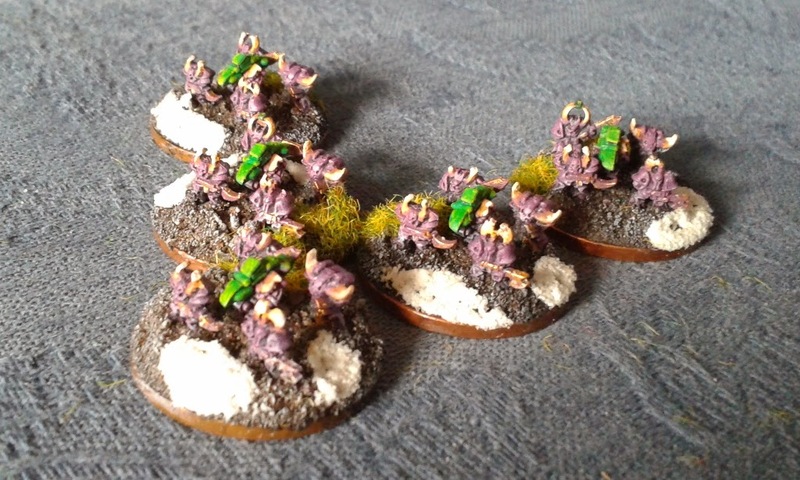 As I have one more, similarly sized unit to go after these guys and I don't want another long gap between posts I'm going to drip-feed these guys out in three instalments. So without further ado - meet the Beasts!